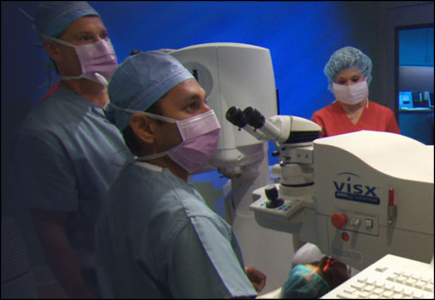 The laser vision correction process begins with a consultation with your doctor where you can learn about the technology and the procedure. The first step is to call Wallace Eye Associates to schedule a consultation. During the consultation you can review the details of the technology and the procedure and be that much closer to living your best life with your Personal Best Vision. If you have any questions, or for more information about CustomVue, visit www.personalbestvision.com.